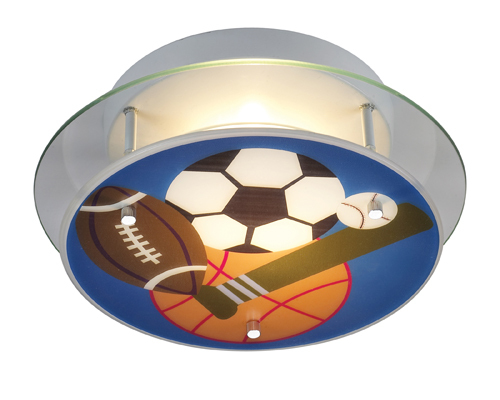 Sports Ceiling Light Fixture for Kids - This sports theme ceiling light is the perfect finishing touch for any sports fan's bedroom or sports room. Whether his sport is football, soccer, basketball, or baseball, this ceiling light shows every sport. Semi-flush ceiling light with glowing sports gear takes two 60-watt bulbs.